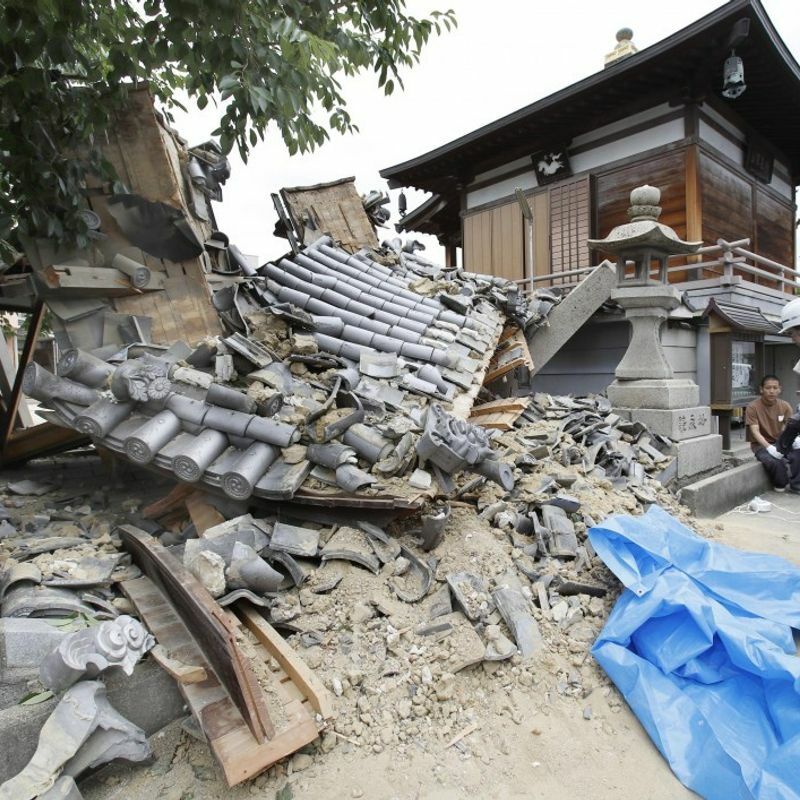 A powerful earthquake hit Osaka and other parts of Japan's second-largest metropolitan area Monday morning, leaving at least four people dead and more than 300 injured as concrete walls around buildings crumbled, water pipes burst and power was cut off. 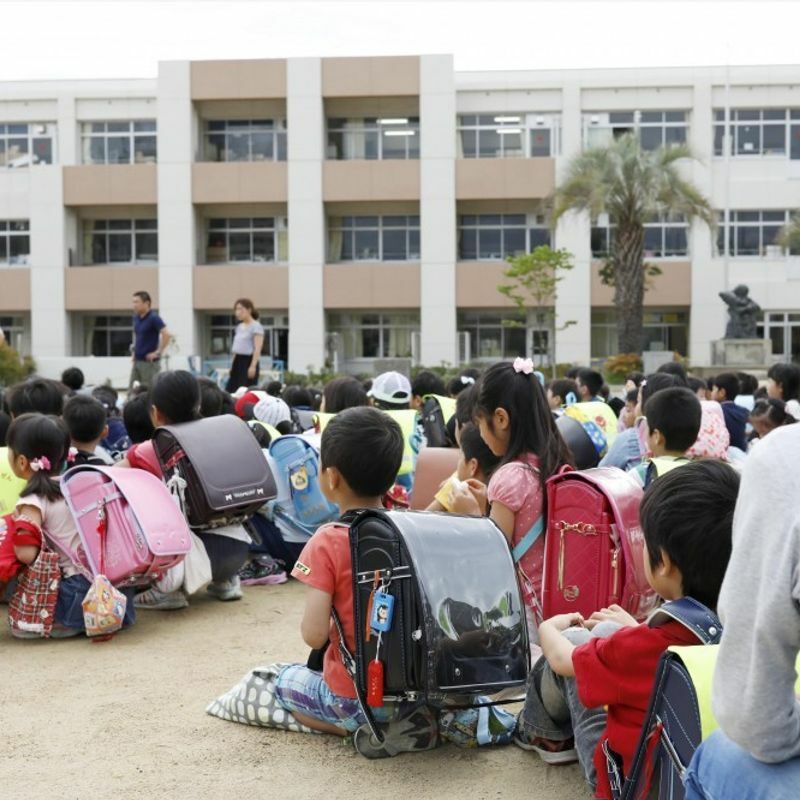 Over 1,000 people sought shelter in school gymnasiums and other evacuation centers following the magnitude-6.1 temblor that shook the northern part of Osaka Prefecture. Rush-hour traffic was disrupted and fires broke out, although no deadly ones occurred. 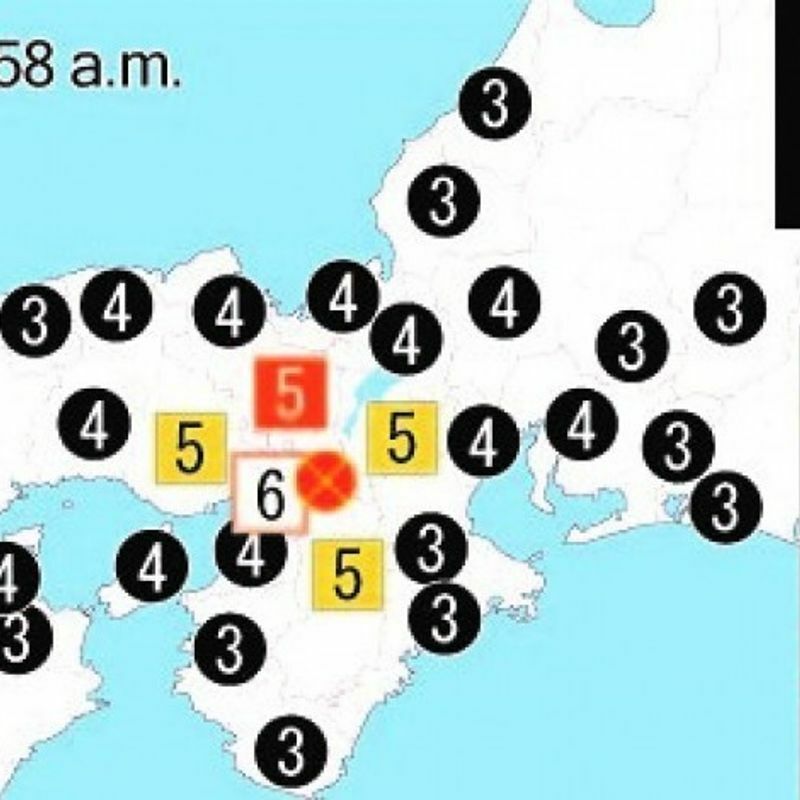 The quake at 7:58 a.m. registered lower 6 on the Japanese seismic intensity scale of 7 -- the highest level in the western Japan prefecture since the Japan weather agency started full-fledged observations in 1923. Some people were reminded of the 1995 Hanshin quake in adjacent Hyogo Prefecture that claimed thousands of lives. The inland quake did not trigger a tsunami and no nuclear power plants in the vicinity reported abnormalities. Prime Minister Shinzo Abe said in Tokyo that the government is working hard to rescue people and also ordered relevant ministers to take measures to ensure the safety of schools after a 9-year-old girl died near an elementary school when about 40 meters of a concrete wall surrounding the school's swimming pool collapsed. The 1.6-meter-high wall made of concrete blocks, which was built on a 1.9-meter-high support structure, apparently fell over the girl, Rina Miyake, who was on her way to school in Takatsuki, Osaka Prefecture. Some people tried to rescue her, but the rubble eventually had to be jacked up by rescue workers. 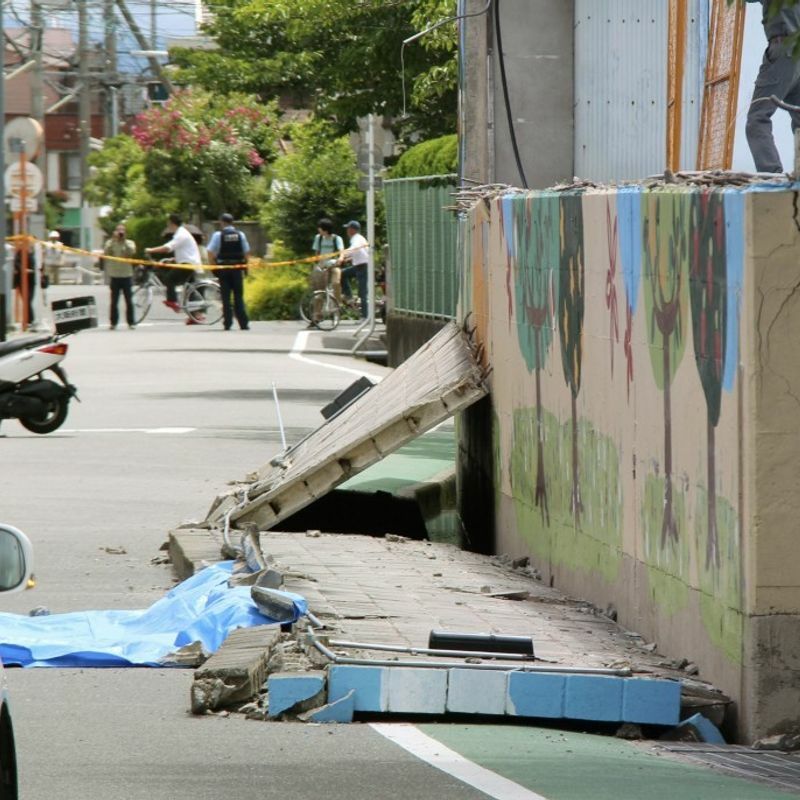 Minoru Yasui, an 80-year-old resident of Osaka's Higashiyodogawa Ward, was also killed when a wall collapsed. He was heading to his routine activity to keep watch over children commuting to school. Two more people in their 80s in Osaka Prefecture died after they were crushed by furniture at their homes, according to local authorities. "The shake was so strong I couldn't keep standing inside my house," said a 64-year-old housewife in Takatsuki, which was hit hardest by the quake. 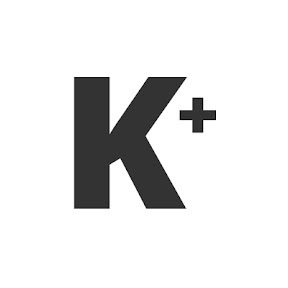 "After the Hanshin quake, I had fixed the furniture so that it will not move, and that worked." In Takatsuki, a road caved in due to a burst water pipe. Looking down from a helicopter about four hours after the quake occurred, there was a hole -- several meters in diameter and filled with water -- in the middle of the road. In adjacent Hirakata, a chimney broke and crashed into a building next to it. While the quake's magnitude was relatively low, its intensity was high due to its shallow epicenter. The quake occurred at a depth of about 13 kilometers, according to the Japan Meteorological Agency. 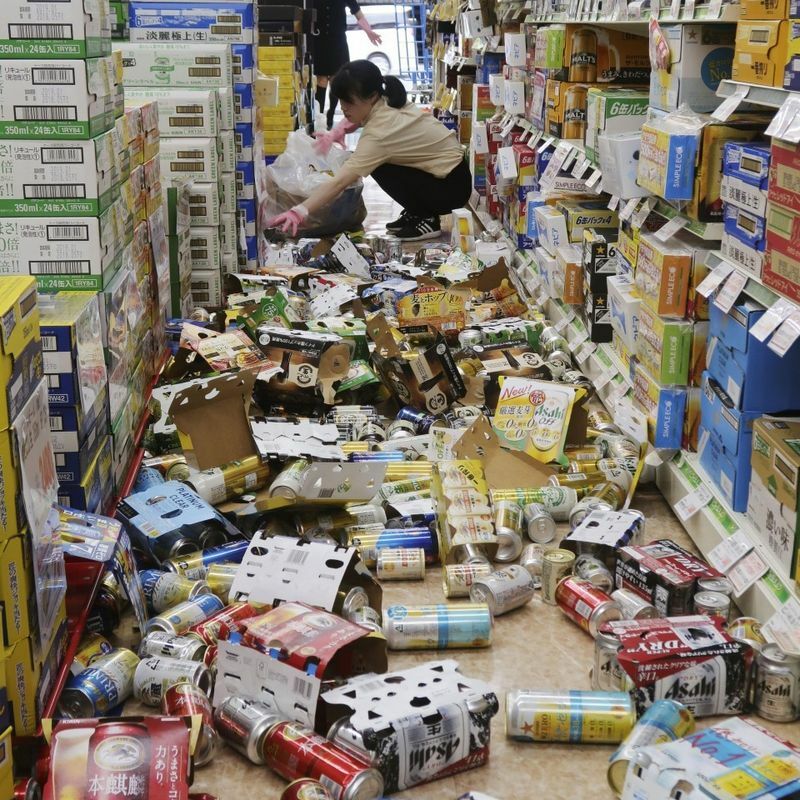 The agency warned that another strong quake could jolt the Osaka region within a week but dismissed concerns that Monday's temblor could imminently trigger a megaquake that is projected to occur in the future off western Japan and cause massive tsunami. Amid fears of aftershocks, many people have fled to about 460 evacuation centers set up in Osaka Prefecture. More than 1,000 public elementary, junior and senior high schools in Osaka and nearby prefectures have called off classes. 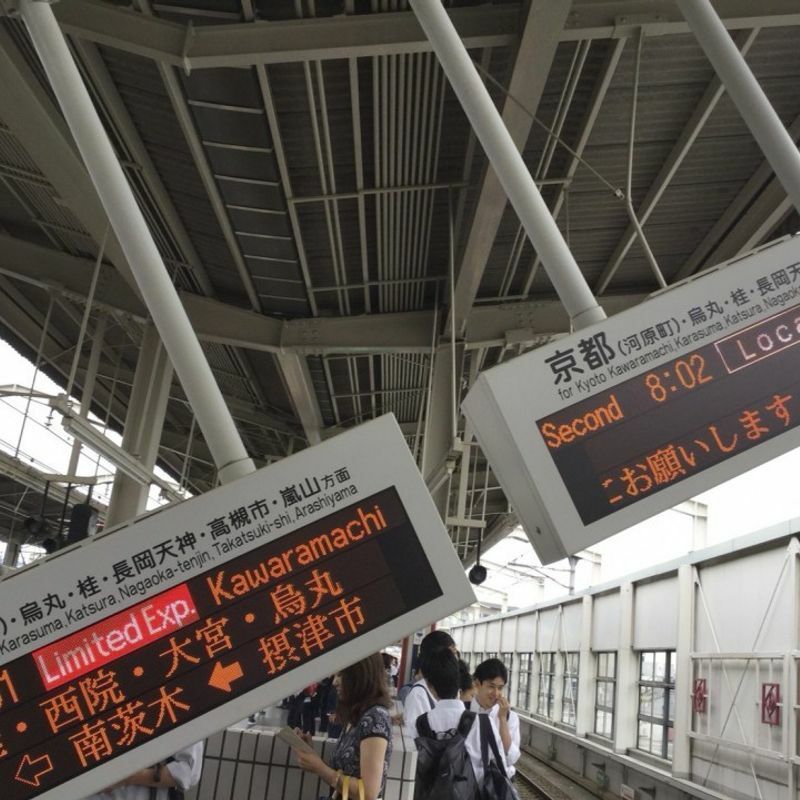 In the morning, many commuters were left stranded at stations and on streets as the quake disrupted operations of shinkansen bullet trains and other railway networks in western and central Japan. "I saw the ceiling and the floor undulating, and I could barely stand. I was very scared," said 64-year-old Katsufumi Abe, who was at JR Osaka Station on his way to Kyoto. In Dotombori, one of Osaka city's prime tourist spots, some foreign tourists looked nervous as they huddled together. A 30-year-old Chinese woman from Beijing said she experienced an earthquake for the first time. 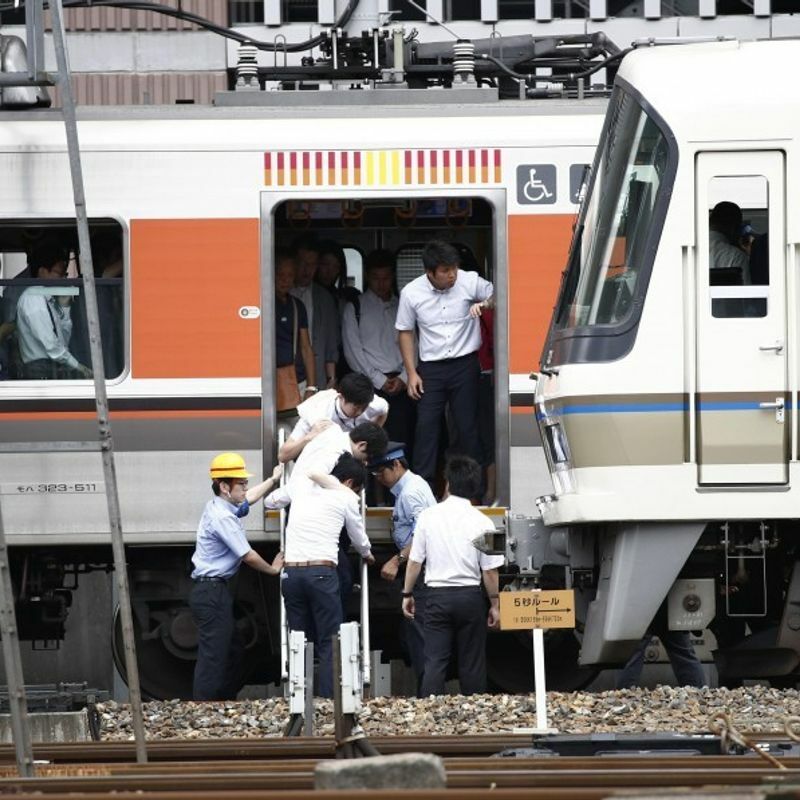 The Tokaido and Sanyo shinkansen bullet train services, whose operations were partially suspended following the quake, are now operating normally, according to the railway operators. Osaka Gas Co. suspended gas supply to around 110,000 households in Osaka Prefecture following the quake and said it will take more than a week to fully restore services. More than 170,000 homes in Osaka and neighboring Hyogo Prefecture suffered a blackout, Kansai Electric Power Co. said. There have been more than 200 cases of people being temporarily trapped inside elevators in Osaka Prefecture and nearby areas, but all of them were rescued, the infrastructure ministry said. The quake damaged important cultural assets, including the Osaka Castle site, with its stone wall partially damaged. A crack was also found in a wall at Byodoin Temple in Uji, Kyoto Prefecture, which is a UNESCO-designated World Heritage site. The latest quake was one of the largest that hit the Kansai region since 1995 when Hyogo Prefecture was hit by a magnitude-7.3 quake that killed 6,434 people. Monday's temblor was the latest in a string of quakes over the last few days. A magnitude-4.6 quake struck southern Gunma, north of Tokyo, on Sunday, and a magnitude-4.5 temblor struck Chiba, near Tokyo, on Saturday.